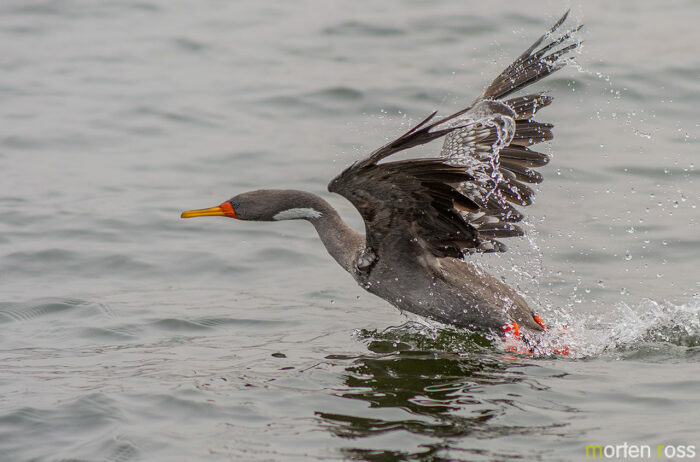 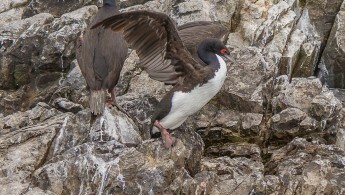 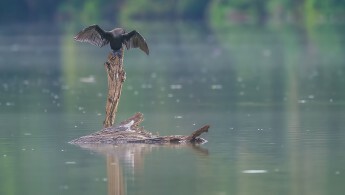 This is the second of the regional species of cormorant I encountered, also this one becoming more and more rare – just like the guanay cormorant. I was in luck and found this couple with two chicks, but photographing them was really hard as they were located outside the protected harbor of Pucusana, and the waves from the Pacific made the boat very unstable. 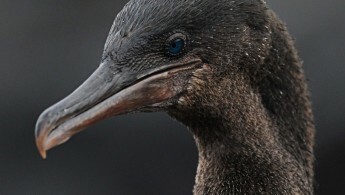 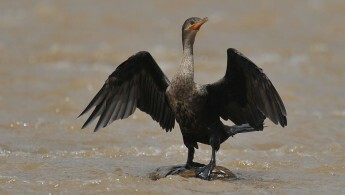 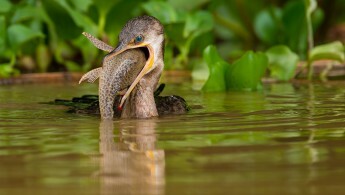 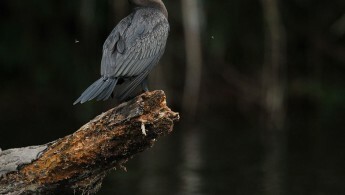 Perhaps the most beautiful of all cormorants! 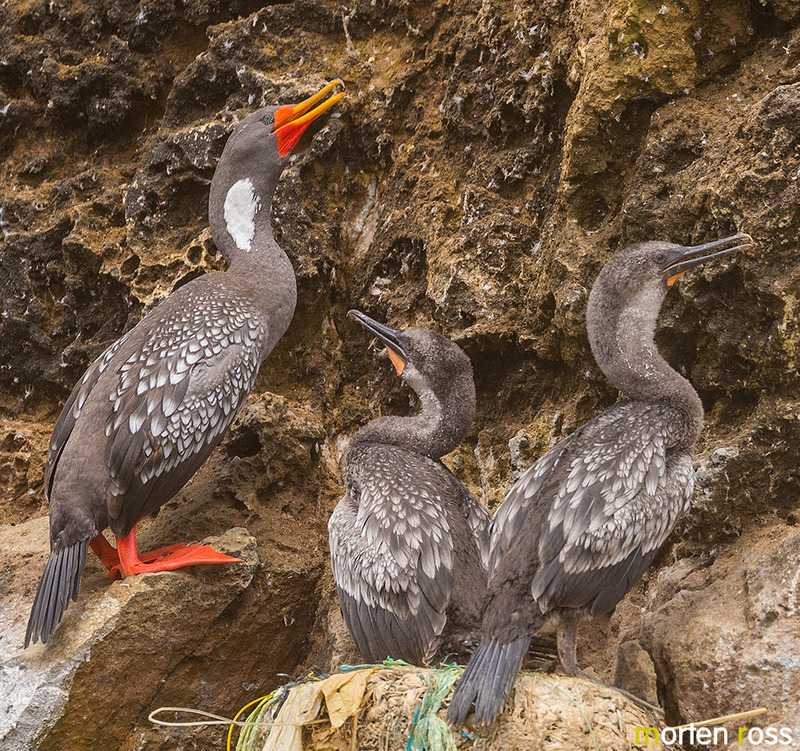 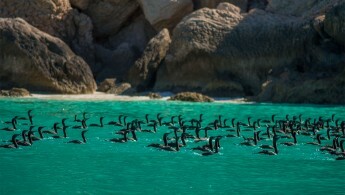 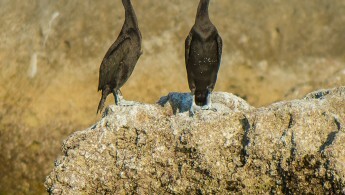 I wonder what has made the pacific (female) cormorants favor bright colors opposed to the neotropical which is all black.